Scholarship is one way to help international students to finance their studies abroad. The scholarship is usually awarded to students with outstanding academic achievements, community involvement, and work experience. You need to apply for a scholarship although some scholarships are awarded automatically. Canadian scholarship is more available to international students studying at a postgraduate level than undergraduate level. Nonetheless, there are still many ways to find scholarship opportunities. Here are few tips to find scholarship opportunities for international students. To begin with, explore all scholarships and funding opportunities in your home country. Many countries offer scholarships to their citizens to pursue education abroad. Contact the department of education in your home country to find out about the scholarship and funding opportunities. When you plan to study abroad, you need to plan ahead. Start searching for information about the university where you’d like to study. Not all countries offer many scholarship opportunities to international students such as Canada. Canadian universities usually offer scholarships to international students who demonstrate academic excellence. However, this type scholarship is usually given if you are already a student at the college or university in Canada. Contact the financial aid office of the university of your choice to get all the information about scholarship opportunities for international students. If you happen to know anyone studying abroad, ask them about the scholarship opportunities at their university. You can also ask international students at the international student community forum to get to know if there is any opportunity for a scholarship for international students. A great way to find scholarship opportunities abroad is by visiting the government website of a country where you’d like to study. If you are looking for scholarship administered by the Canadian government, go to scholarships-bourses.gc.ca to learn more about the scholarship for international students. The scholarship is offered by Foreign Affairs, Trade, and Development Canada to foreign students who wish to study and research in Canada. The scholarship opportunities are open to Canadian and international students studying at the graduate level in Canada. The scholarship program is intended to provide foreign students adequate resources for doctoral studies, postdoctoral fellowship, short-term research and professional development. Trudeau Foundation offers doctoral scholarships in the humanities and social sciences to Canadian and foreign doctoral candidates. The scholarships are awarded to students in the social sciences or humanities in the fields of Canadian Studies around the world. The scholarship is only open to women who are studying finance in an accredited graduate-level program. 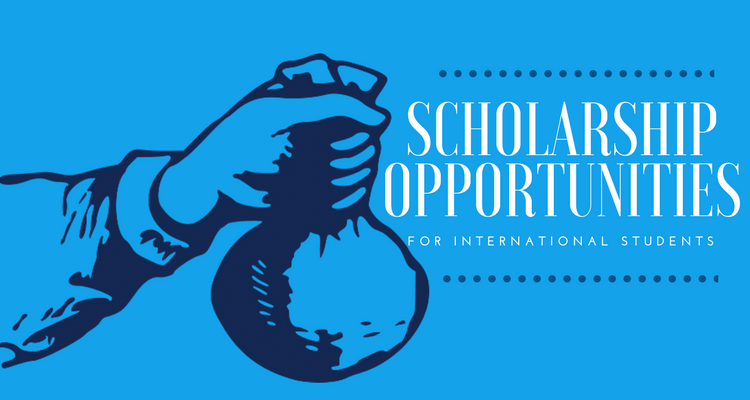 The International Peace Scholarship Fund provides scholarships for selected women from other countries for graduate study in the US and Canada. The scholarship is given based on students’ financial needs. The maximum amount awarded is $12,500. Many private companies and not-for-profit organizations offer scholarships to international students, so it is worth contacting the institutions to find out about scholarship opportunities. You can also browse around to find scholarship information on the internet.